The X Factor has cancelled its public vote after the show was hit by sound issues on Saturday night. Viewers complained that the judges and some of the performances sounded distorted and contestants sounded like “Daleks”. ITV apologised and said the vote will take place on Sunday’s show instead. It is thought to be the first time voting has been cancelled in the singing show’s 15-year history. 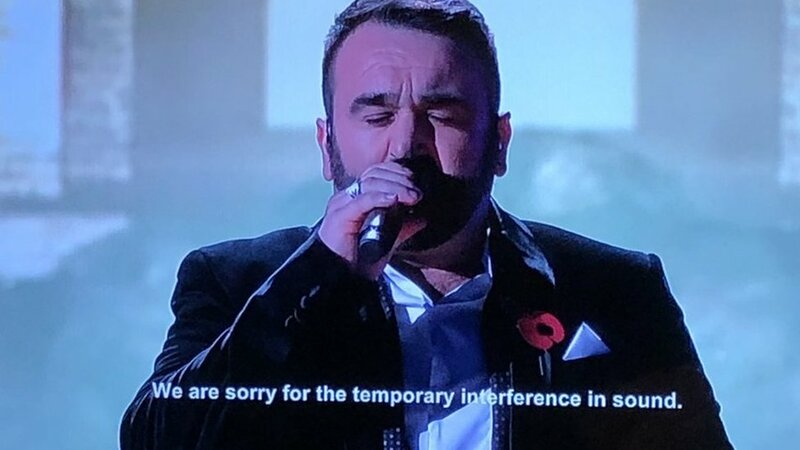 Viewers started to encounter sound issues during the performance by Danny Tetley and continued through Anthony Russell’s song. The show was not live and had been pre-recorded on Saturday afternoon, so host Dermot O’Leary did not refer to the sound problems. On social media, viewers called for ITV to call off the voting. One person joked that the X Factor needed some throat sweets. And others said they had changed their TV channel, thinking the sound problems were related to their own televisions, or thought it was a special effect for Halloween. “I thought my TV had finally given up on me after eight years but it’s just X Factor” one viewer wrote on Twitter. An X Factor spokeswoman said: “We apologise for the technical issue that affected the sound on part of tonight’s episode of The X Factor. We are investigating why this happened.